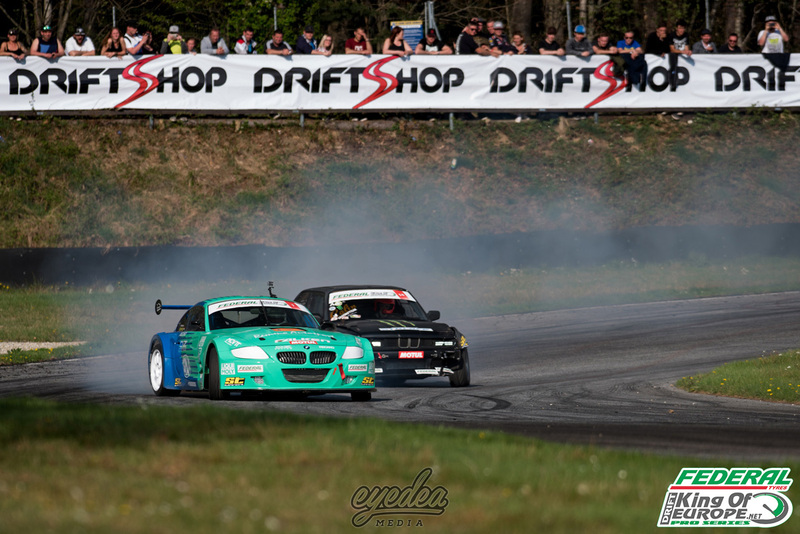 Home > Drifting > Formula Drift > Driftbrothers clinch the top two spots as Ciortan returns to the podium! 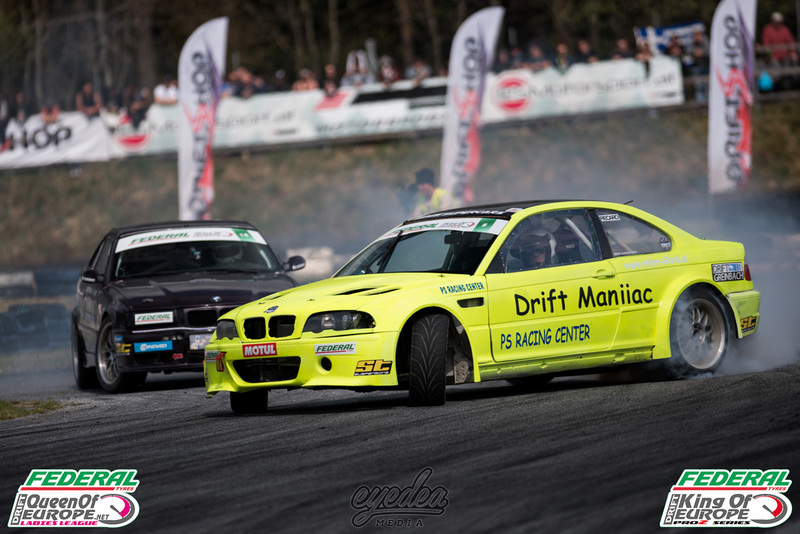 Driftbrothers clinch the top two spots as Ciortan returns to the podium! 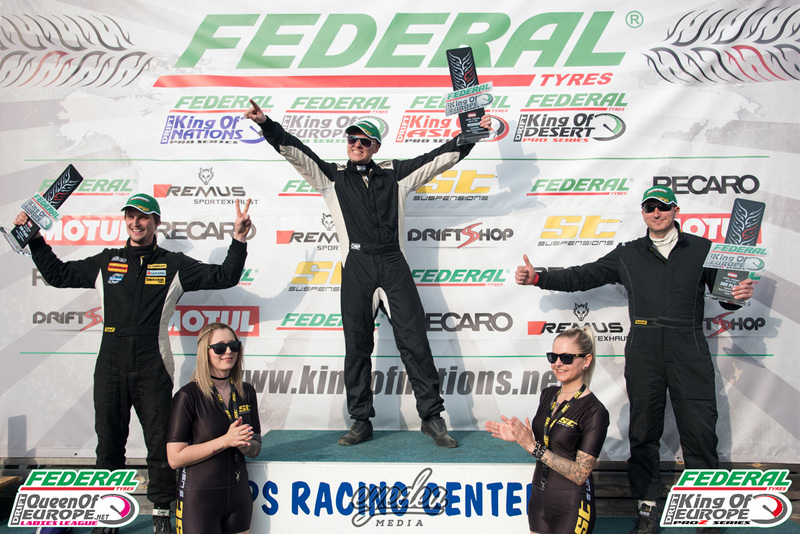 An incredible start to the 2017 Federal Tyres King of Europe season began in style as the legendary Greinbach track in Austria once again played host to the opening round of the series. 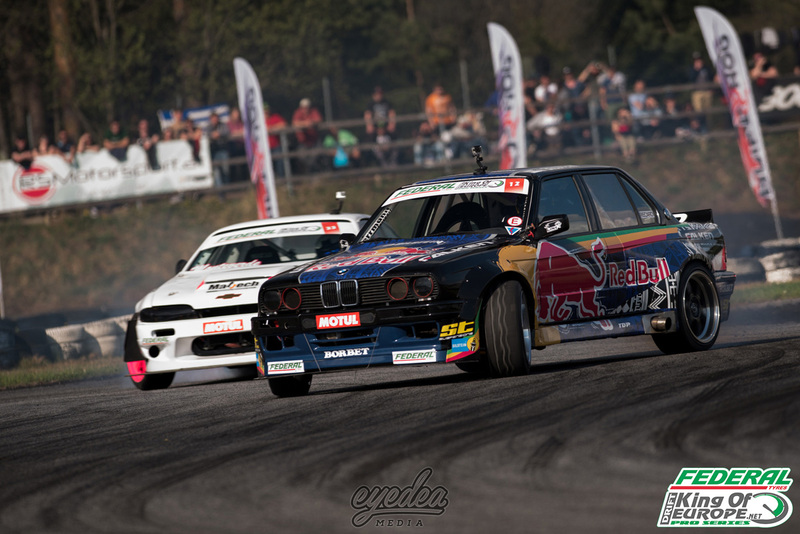 Europe's best drivers travelled from across the continent to fight for the precious podium spots in the opening round as the sun beamed down in front of thousands of spectators who had turned up to witness the action unfold. All eyes had been on reigning Champion Remmo Niezen as he piloted his brand new BMW Z4 build, after just having a small amount of testing before the event, he was throwing down some stunning laps during practice. His incredible consistency continued as qualifying got underway, stunning the judges and fans alike as he achieved the highest qualification result of the day to take the top spot! Romanian driver Calin Ciortan took the second spot in the hard-fought rankings in his return to the series after some typically near-perfect aggressive runs during both practice and qualifying, finishing narrowly behind Niezen. 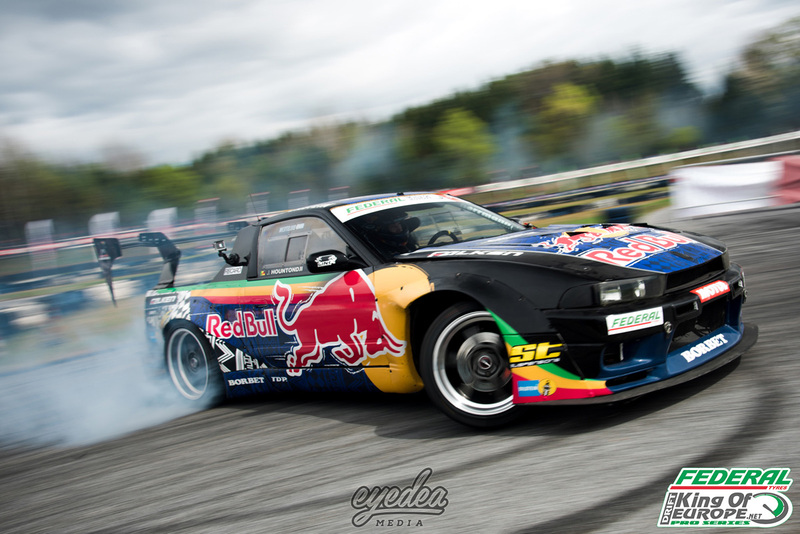 Third place went to Red Bull Driftbrothers driver Eli Hountondji in his first event in the series since becoming a Red Bull athlete. Swiss driver Nicolas Maunoir proved he will be fighting for the podium spots this year as he once again impressed, securing the fourth spot. As day two began and the stunning weather continuing to bring the heat, huge anticipation was lingering in the circuit as the drivers prepared to battle for the top spots. 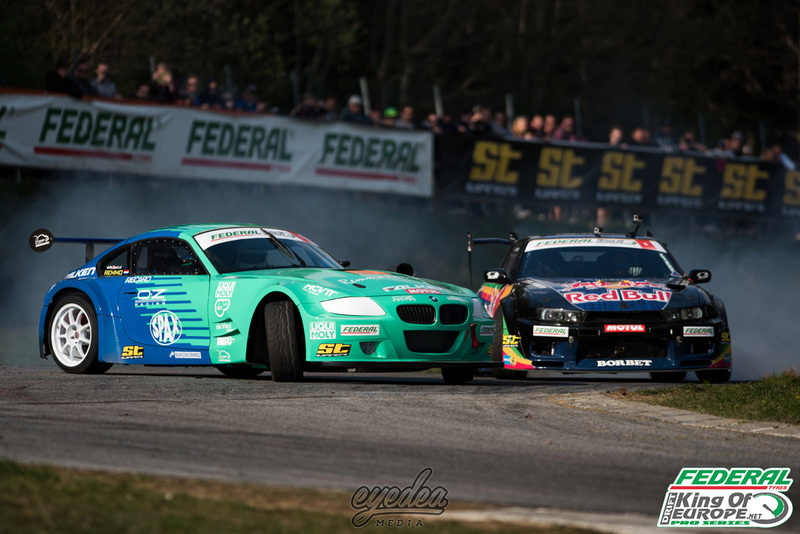 After impressive battles in the earlier stages of the Pro2 series, top qualifier and former Champion Pavlin Penev was forced out with car issues in the Top 4 battles, allowing Austrian Gunther Denk to land his place in the final. Local hero Daniel Brandner also landed his spot in the final after a close battle eventually saw him defeat Dario Foler. As the fans cheered on their local heroes, a close final between the two Austrian drivers, Brandner and Denk saw Brander defeat his local opponent to take the win to a roar of the home crowd, with a 6-4, 6-4 score line. 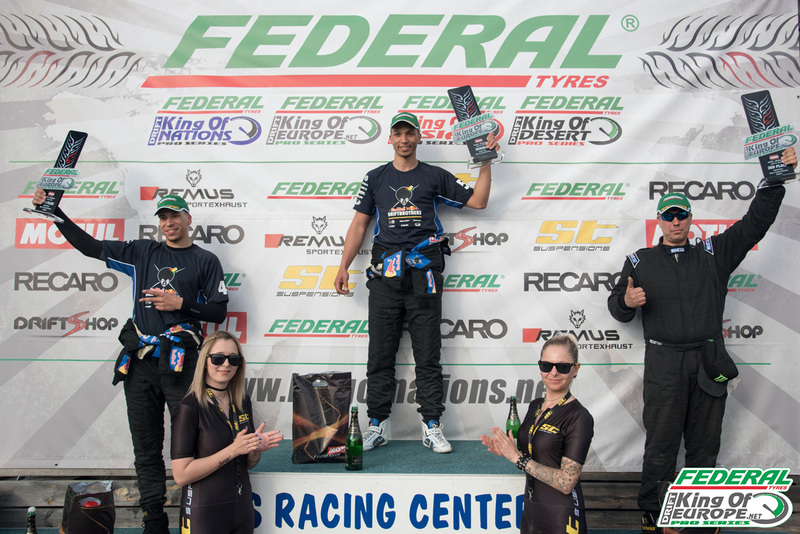 With Penev unable to repair his car in time for the small final, Dario Foler was handed the third spot on the podium. As the Queen of Europe final commenced, reigning Champion Karolina Pilarczyk faced Michaela Sacherova. Sadly, unfortunate mistakes from Sacherova allowed Pilarczyk to once again deservedly secure the top spot on the podium with an 8-2, 7-3 advantage. 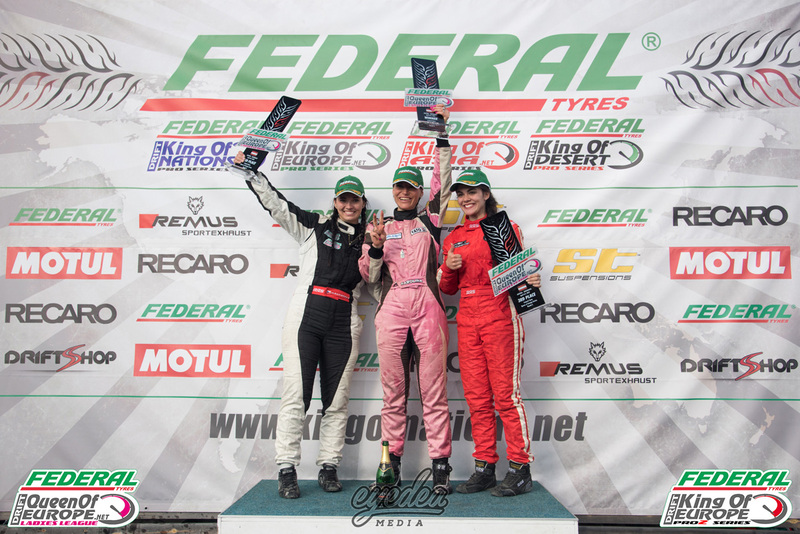 Third position on the podium went to Kristalina Stefanova. As the fans took their places to witness the main action unfold, they were sure in for a treat as some jaw-dropping battles took place during the early stages of the Top 32. Early casualties would include Gary Gallopin, who lost to an in-form Benjamin Boulbes, whilst car issues for both Gerson Junginger and Sam Woo would mark an early ending to their weekend. After a close first battle between Massimo Checchin and former Champion Norbert Kovacik, issues with his new V8 bi-turbo setup would also end Kovacik's hopes mid-lap. In the Top 16, Rick Van Goethem would lose to an in-form Maunoir, despite Van Goethem displaying some of the most impressive driving we've witnessed to date from the Dutch driver. Calin Ciortan would also ensure he ended the last of the 5 Greek visitors' hopes as he progressed. A close battle between Italian drivers Monteverde and Checchin saw a small mistake prove vital for Checchin after his impressive weekend came to a sudden ending. Yet another close battle between current King of Nations Champion Nicolas Delorme up against Eli Hountondji saw a 6-4, 5-5 score line go in Eli's favour. 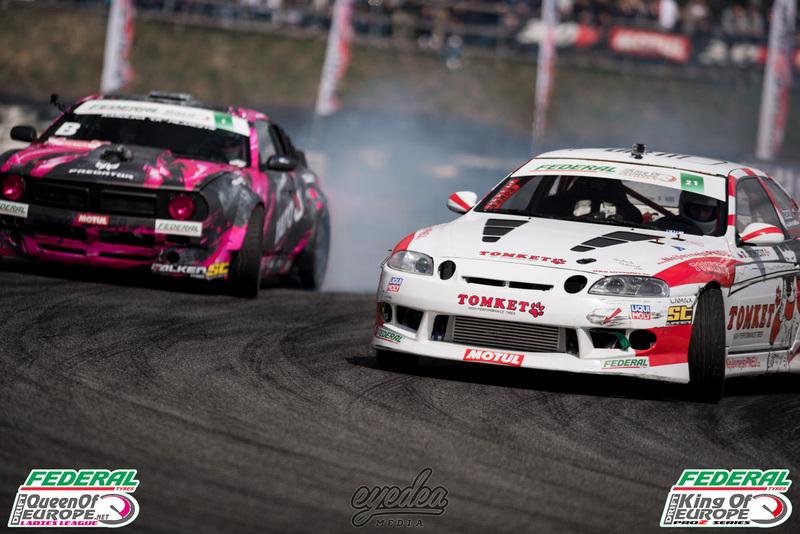 With one of the most challenging Top 8 line-ups the series has ever seen, Champion Remmo Niezen faced Benjamin Boulbes. 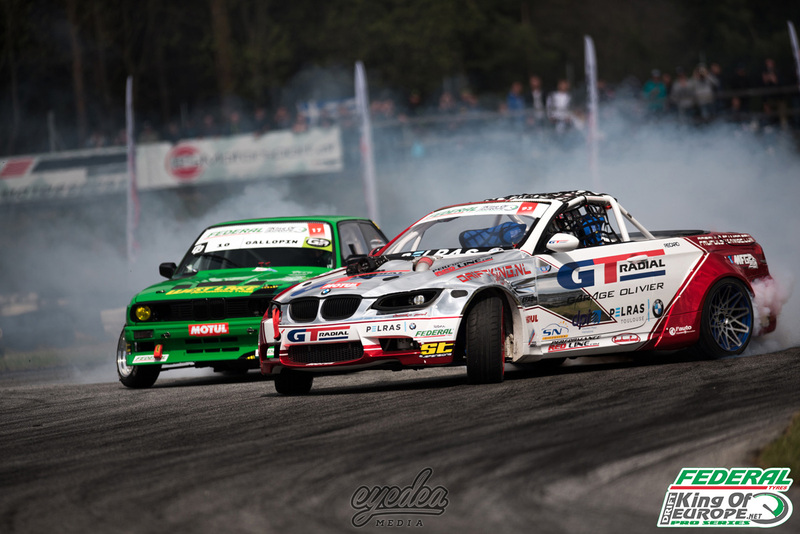 An insane battle between the two drivers was forced to a one-more-time after a deadlock from the judges. Niezen eventually forced his way past the French driver to land his place in the Top 4. Nicolas Maunoir and Joe Hountondji also went head-to-head and despite an initial 6-4 advantage to Maunoir, Hountondji made no mistakes on his lead run to take the win with 7-3. Local hero Alois Pamper, who was under a new-look Remus Exhausts livery for 2017 went up against in-form Romanian Calin Ciortan. An initial advantage for Ciortan was all it took after a 0-0 score for both drivers in the second run sealed his place in the Top 4. 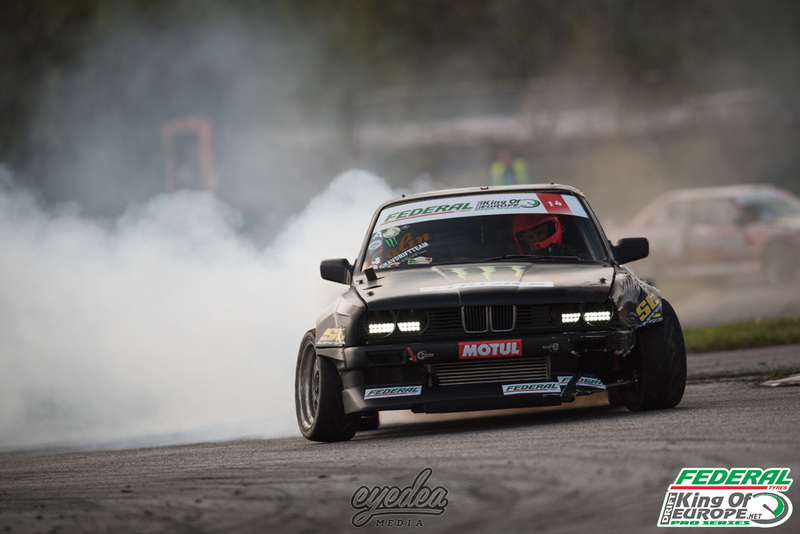 Eli Hountondji faced Amerigo Monteverde in yet another close encounter, which saw the Driftbrothers 6-4 advantage in his lead run prove to be the deciding factor after a 5-5 draw in the second run. After witnessing how close the Top 8 battles were, the Top 4 was undoubtedly going to put the judges to the test! After an early 6-4 advantage in Niezen's favour, Joe Hountondji clawed back a 7-3 advantage to secure his place in the final. 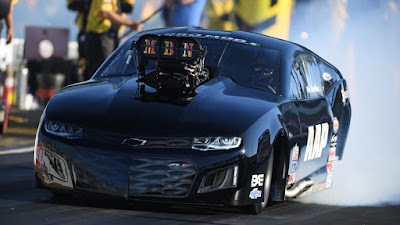 With an initial 5-5 score in the battle between Ciortan and Eli Hountondji, it would once again be just one point between the drivers as Eli Hountondji sealed his chance to face his brother Joe in the final! Niezen and Ciortan faced each other in the small final, and after yet another 5-5 score line in the first run, it would be Calin Ciortan who finally returns to the King of Europe podium after edging past with a 6-4 score! 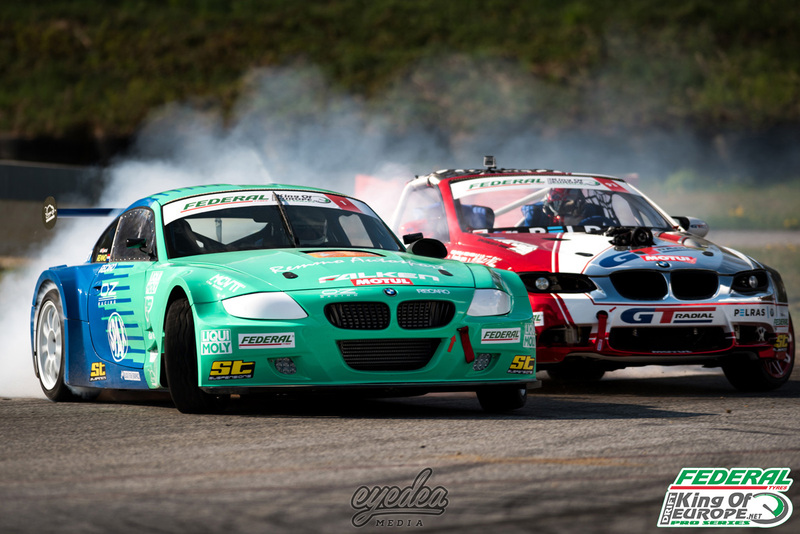 In the battle everyone had been waiting for, the Team Driftbrothers faced each other on the start line as the crowd watched on. With Joe already having several wins under his belt, all eyes were on Eli to take his first win. He made no mistakes in the opening run, achieving a 6-4 scoreline. It was all to play for in the second run as he once again landed a 6-4 advantage, handing him his first ever King of Europe victory! 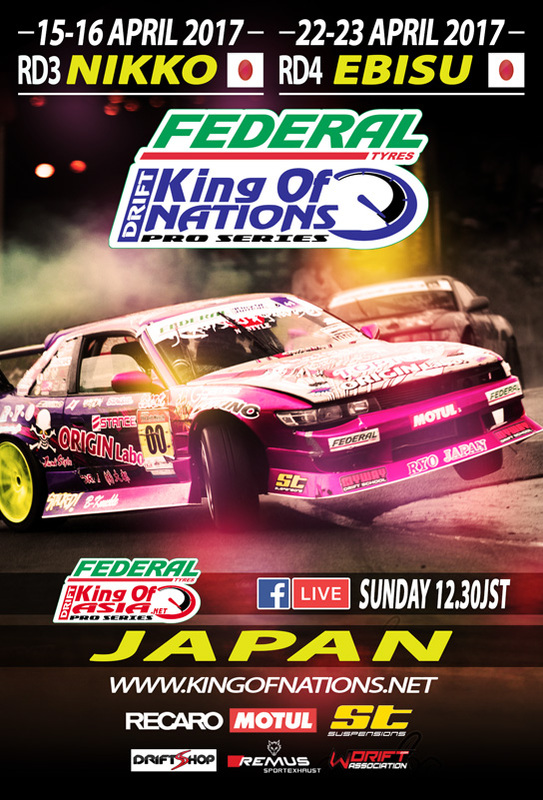 It was undoubtedly a memorable start to the 2017 European season as we now prepare for our next rounds of the Federal Tyres King of Nations series, returning to Nikko Circuit, Japan next weekend with Ebisu Circuit just one week later! Round 2 of the King of Europe series takes place on 6-7th May as we prepare for our return to Valencia, Spain! 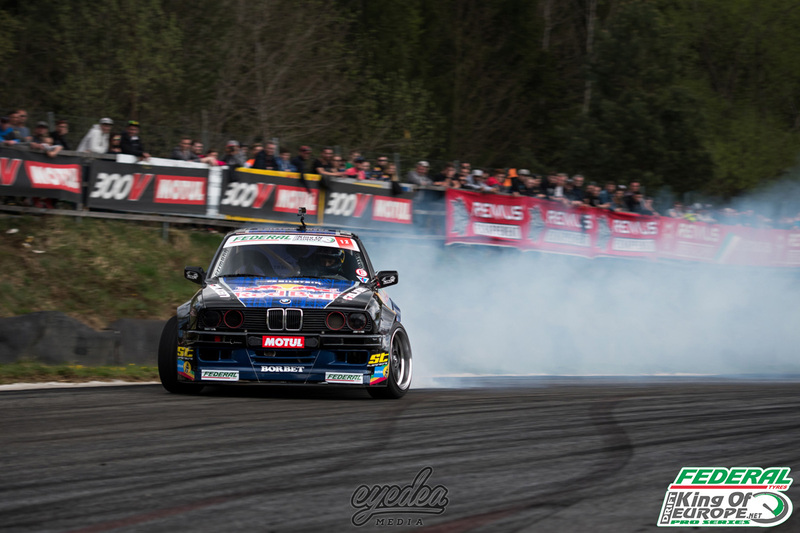 Copyright © 2017 King of Europe Drift ProSeries, All rights reserved.